In the continuing effort to recognize and reward staff members who contribute greatly to the success of the University, the Office of the Provost will be presenting to the Board of Trustees a plan to create a new Senior Administrator Emeritus Recognition Program. This effort stems from conversations with the Intellectual and Academic Life Subcommittee of the University Board of Trustees to create a process that would properly recognize long-time administrators upon their retirement. 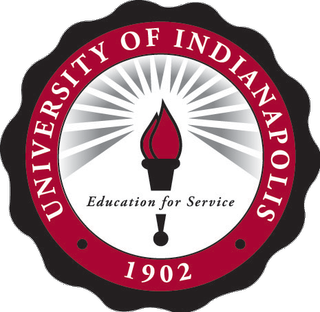 Similar to the Faculty Emeritus process, senior administrators (Executive Vice President, Vice President, Associate Vice President, Associate Provost) would qualify through specific criteria and enjoy many benefits connected to their emeritus status–all designed to reward them for their continued commitment and passion to UIndy. A few months ago, I appointed a committee of faculty and staff to research and draft the proposed guidelines. I am very thankful for their time and consideration in creating this new pathway to celebrate staff contributions. The University recently enhanced the Staff Achievement Awards process, and this latest development allows ample opportunities to reward our talented staff –regardless of rank– through a variety of ways. Prior to updating the Board with this recommendation, I invite you to review the specifics of the guidelines and provide feedback. The University will continue to enhance ways to recognize and celebrate faculty and staff achievements, and your ideas and suggestions will contribute greatly to this process. You can find the proposed guidelines on the Provost website.